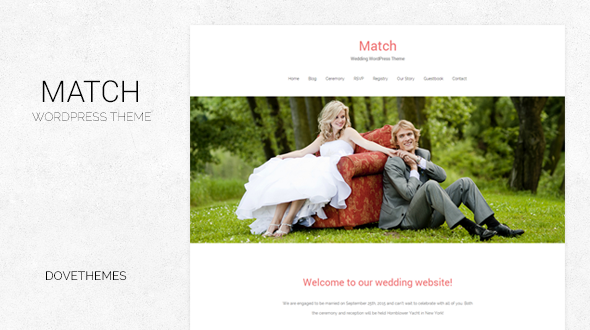 Match is a modern, responsive and clean wedding WordPress theme. You can mange and customize your wedding website or blog easily by using an easy to use options of Match wedding WordPress theme. Match is also suitable for personal, portfolio and gallery websites by using the post formats and other theme options. This theme can easily be used as tumblr style WordPress theme by removing the sidebar entirely and organizing your blog posts in post formats.